Our company was started because we wanted to serve people who could not get good pressure washing Arlington TX services. We know that some companies do a destructive job, and we believe that some companies will simply not clean very well. They make it look like the job has been done well, and that is not how we do business. You will get to approve any work that we do, and we will make sure that you have your say about the work before we leave the job. Arlington pressure washing is all that we do, and we pride ourselves on doing it right the first time. So many people will not take the time to check for damage around your space, and they will chip paint or bleach bricks if they are not careful. We make a plan for every job, and we deploy the pressurized water in a way that will never cause harm to your space. 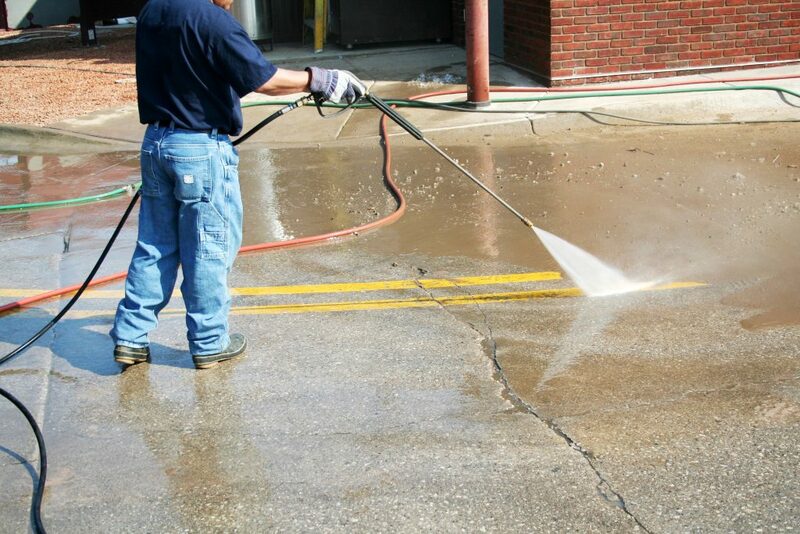 Our Arlington pressure washing team is bonded and insured to make certain that you are protected ruling the job, and we safely rope off the area so that no one can get in the line of the water cannon. We do everything needed to give you a safe and simple service. We are committed to offering better service, and we will give competitive prices on every job. We believe that you deserve to get value, and we are the best company in town to deliver that value. Schedule Now & Get Free No-Obligation Estimate!